Is Arnie a Jolly Green Giant? Today we thank the Jolly Green Giant for our episode of Green Machine. Is this the Giant on the small screen that ate pees became green and grew into a giant? Actually I was thinking of our Governator who is the new Jolly Green Giant. Just in time for Christmas, Arnie and his Air Resources Board have proposed the Scoping Plan to cut California's greenhouse gas emissions back to 1990 levels by 2020. Developing this Scoping Plan was part of the law that Arnie signed into law in September 2006. The problem is that back in September 2006 housing prices were high and GM still was a company with a stock price of thirty three dollars a share. The same fools at the Air Resources Board who brought us MTBE are now scoping the future and planning for us to reduce our greenhouse gas emissions by thirty seven percent between now and 2020. This will primarily be accomplished by the wished for low carbon fuel the Air Resources Board is yet to invent. Also proposed is a "Feebate" for a Cap-and-Trade program to lower greenhouse gas emissions. I read this as a Tax and an increase in the cost of fuel, automobiles, doing business in the Golden State, or simply living here. Instead of coining marketing terms like Feebates these guys should concentrate on improving the quality of life for all in California. These imbeciles coined the term "Reformulated Gasoline" for the MTBE laden poisonous gasoline that was mandated twenty years ago to clean the air. This was stupidity of the greatest measure as all gasoline vehicles started to deploy catalytic converters and the MTBE served no purpose other than to line the oil companies' pockets with additional profits. Some elite group will make money out of Cap-and-Trade while our greenhouse gas emissions will not decline by 37% by 2020. The only hope for reduction of greenhouse gases in any large measure is to improve vehicle efficiency and provide incentives for folks to carpool and take public transportation. Instead of Feebates (Taxes) we should have rebates (incentives) to those who adjust the driving habits, turn down their home thermostats, get rid of their lawns and SUVs, and live a greener life. Thank goodness Obama did not take the Kennedy family's advice and appoint the Jolly Green Giant as the Secretary of Energy. Instead he will appoint a Nobel Prize winning physicist Steven Chu as Energy Secretary. Chu won his Nobel Prize in 1997 for understanding the behaviour of gases at very low temperatures. Chu and his co-winner Claude Cohen-Tanoudji, developed a method to use multiple lasers focused on gas atoms that slowed down their velocity of motion to less than one kilometre per hour thereby reducing their temperature to almost absolute zero. Chu was quoted in 1997 when he won the Nobel Prize that he and Cohen had slowed down the velocity of gases to a rate that an ant might walk. I kind of like it that an ant tamer was chosen over Jolly Green Giant for Energy Secretary. Remember that the suddenly green Governor was the celebrity that popularized Hummers and owned a bunch of them at the time Chu and Cohen were trying to think small and slow things down. I think Dr Chu will be a good Energy Secretary, I only wish that the California Air Resources Board had a collective IQ close to his. As tomorrow is Christmas I will use the words of the original Jolly Green Giant and sign off by saying Ho Ho Ho. The Holiday Season is upon us and lights will glitter all over the land to celebrate the holidays. Christmas Trees and Hanukah Menorahs are symbols that have lights for decoration. The story of Hanukah is about the miracle of the lamp oil in the temple in Jerusalem lasting for eight days instead of the expected one day. This meant that the lamp increased its efficiency eight fold. Well we too have new lamp technology that is similarly more efficient than the old incandescent bulbs that adorned our Christmas Trees or our homes. This wonderful technology is that of Light Emitting Diodes (LEDs). I believe I have written previously that LEDs use one tenth the energy of incandescent light bulbs and are long lived and can operate for as long as twelve years. Perhaps we are also witnessing a miracle now that we have replaced the old and inefficient strings of red, green, white or blue incandescent holiday lights. We also will not have to bother with searching which bulb has blown and needs replacement so that the whole string of lights shines once more. The Tiburon Fire Department can also rest easier as LED's do not burn hot and are not a fire hazard. The National Christmas Tree in Washington DC as well as the Christmas Tree at Rockefeller Center in New York City are lit with LEDs. The tree at the Rockefeller center this year is a seventy two foot Norway Spruce. It will be decorated with 30,000 LED lights that are connected with just over five miles of wire. These lights will consume 1,297 kilowatt hours of electricity each night the tree is lit. Using LEDs saved 2,223 kilowatt hours each night compared with the old string of lights that were replaced. This amount of energy saved each night will power the average Tiburon home for two months. Additionally, the brightness (lumens) of the string of LED lights is also three times as bright as the replaced lights. It would be interesting to find out if one of our spy satellites is capable of photographing this tree from outer space with the resolution of being able to see the individual lights. Sorry even the Green Machine does not have the answer to this as it is classified.What does one do with a seventy two foot Christmas Tree after the Holiday Season has passed and it is time to pay the bills? The folks at Rockefeller Center will have it recycled for use as smaller toys for the animals in the Brox Zoo as well as having part of it mulched for hiking trails in and around New York City. Many people ask me if they should use a live tree or a plastic tree for their Christmas Tree at home. Over the whole lifecycle of a decade the plastic tree has a lower carbon footprint than buying a live tree each year. The largest contribution to the carbon footprint over the decade is from the gasoline used to drive the SUV or Station Wagon to and from the tree lot or the tree farm if you fell your own tree. Many folks also like to light their tree until February or March. In this case plastic trees have far lower danger of catching alight. Form a green point of view whether you choose plastic or living trees, please use LED lights to decorate the tree. Of course the colors of the lights must be varied as green lights will be camouflaged by the tree. Happy Green Holidays to all of you. Can we use diamonds to sequester carbon? Diamonds are a girl's best friend. Diamonds are also pure carbon. I hear old Alfalfa and the venture capitalists he joined in Silicon Valley are working on a technology to sequester carbon in diamonds. Only joking, the sum total of diamonds sold a year is only one hundred and sixty million carats. A carat is equal to one fifth of a gram, therefore the yearly sales of diamonds only equals thirty two million grams or about thirty five US tons. Fifteen cars emit approximately thirty five tons a year of carbon, so please don't rush out to the local jewellers and buy diamonds thinking you are helping reduce global warming by sequestering carbon. It is interesting that a rough uncut diamond is only worth $100 per carat or $500 per gram. This is less expensive than the new monoclonal antibodies that biotech drug companies have developed. The GEMs I was thinking about are the street legal electric cars that were first introduced ten years ago. These cars can zip around at 25 MPH and have a range of thirty miles before they need recharging. GEM stands for Global Electric Motorcars. They are produced in a factory in Fargo North Dakota. I guess they chose this town as they thought Fargo would increase the range of the vehicle. GEM is now owned by Chrysler. A 2001 GEM E2 (2 seats) sells on ebay for around $4,500. This is equal to the original price that the vehicle sold for some eight years ago. Chrysler's other vehicles do not have similar resale value. Kelly Blue Books lists a 2001 Chrysler Sebring in excellent condition as having a private party value of $3,100. Anyone who bought a Sebring back in 2001 should rather have bought a real gem rather than a cubic chrysloneum. I am a very happy vanpooler these days. I just received $300 worth of gas cards from 511 dot org. This money was given to me as I organized a vanpool from Manzanita to Genentech in South San Francisco where I work. We will receiver another $600 over the next six months from 511 dot org if we continue the vanpool. The gas cards are usable at ARCO stations. I filled up the behemoth van at the ARCO station near Goodmans on the Redwood Highway for the paltry price of $1.93 a gallon. I just hope we have learned our green lessons well and don't go back to wasting energy now that gas prices are less than half they were just four months ago. Will fewer jet flights lower our carbon footprint? So what does the Peachtree State have to do with being green? Atlanta's Hartsfield Jackson Airport remains the busiest airport in the country for the number of domestic passengers that arrived or departed on a flight in the month of August 2008. The United States Bureau of Transportation Statistics reports that some 3.5 million domestic passengers used this airport during the month. There were a total of 58.8 million domestic passengers in the entire United States during August 2008. This figure seems large till one compare the data with the corresponding month a year ago of August 2007. In August 2008 there were 6.1% fewer domestic passengers than in August 2007. There were however 2.0% more international passengers in August 2008 than in 2007. There were 820,100 domestic flights in August 2008 some 6.0% fewer flights than the corresponding month in 2007.Now that I have bored you all to death with flight statistics for the United States, I will tie in what this has to do with being green. Air Transportation is very energy intensive as the airplanes are heavier than air and need massive thrust from their engines to stay aloft. All this thrust comes from kerosene jet fuel that is refined from crude oil. Therefore the fewer flights we have the less jet fuel we consume. The US Energy Information Agency has reported that for the four weeks ending November 15 2008 some 20.3% less jet fuel was delivered Airlines than in the same period last year. The airlines still took delivery of 1,291,000 barrels a day on average of jet fuel during the past four weeks. No doubt the number of total flights in the USA for the month of November 2008 will be well down from the number in August 2008 and also November 2007. While I am the Green Machine these statistics are frightening as the energy saved was not through conservation but rather due to a precipitous decline in economic activity. The reduced demand for Jet Fuel, Residual Oil, Gasoline and Diesel has significantly lowered the price of oil and hence these refined products. The reduced revenue the oil exporters receive is not my concern. I don't care if it is "Goodbye to Dubai". My concern is that we don't go back to sleep on the energy conservation front. Global warming is continuing irrespective of this small decline in energy consumption. Airlines are trying to conserve fuel by lightening the load. Some planes are never painted as it makes no sense to spend fuel to keep paint aloft. Now that they serve less food and charge for checked in bags the payload of each flight is also decreasing. Also with fewer flight there is far less circling of airports waiting for a slot to land and a space to park at the jetway. Trains are far more fuel efficient than Airplanes for the simple reason they do not have to have thrust to keep them buoyant. Had the 58.8 million domestic passengers that flew in August 2008 traveled by train, more than half the fuel used by the planes would have been saved. Of course long distance flights will always be needed but hopefully more people will hop on the train or bus for a trip of a few hundred miles. The average domestic flight in the US consumes 2,050 gallons of jet fuel and carries 71 passengers. Don't believe the saying that "the only way to travel is to fly". How much energy do we use cooking thanksgiving turkey? Yeah Thanksgiving is here and it is certainly my favorite holiday as it is All American and full of turkey. Folks get to eat well and then sleep well after eating a huge amount of calories. Legend has it that it is this certain protein called tryptophan in the turkey that causes the sleepiness. Tryptophan is a standard and essential amino acid in the diet. It is not true that turkey has more tryptophan than other foods, in fact on a per unit mass basis dried egg whites have four times as much tryptophan than turkey if you eat the same mass of the two foods. Parmesan and cheddar cheese are also richer in tryptophan. My advice is if you really want to sleep well after your Thanksgiving meal sprinkle your turkey with parmesan and have meringues for dessert rather than pumpkin pie. Actually all who eat over 1,000 calories will sleep well no matter what is on the menu. The Japanese company Showa Denko attempted to produce synthetic tryptophan as a food supplement in 1989. Unfortunately their quality control was terrible and they produced the dimer (two molecules connected) of tryptophan, a poisonous chemical that caused thirty seven deaths and permanent disability to over 1,500 people. Their manufacturing motto must have been kill two birds with one stone. There are approximately 100 million households in the USA and some 30 million turkeys will be cooked for Thanksgiving dinners. The average mass of a turkey is about 16 pounds. Therefore some 500 million pounds of turkey will be cooked. The amount of gas and electricity needed to roast these birds is not that enormous. If one assumes that the birds take four hours to roast and that the oven uses about .4 kilowatt hours for each hour of cooking, the sum total of energy used in roasting turkeys is 48 million kilowatt hours. The Hoover Dam can produce 48 million kilowatt hours each day so we use one day’s of electric generation of the Hoover Dam to make the majority of citizens in the country very content once a year. All this talk of fowl makes me sad. We recently had to put our dog Jason down. Jason was thirteen and a half years old and had a wonderful life. He was allergic to many foods and the vets at Alto Tiburon gave us the recommendation of a special diet when Jason was a small pup. His diet consisted of roasted chicken, rice, and fat free cottage cheese. Jason consumed one and a half chickens a week or about seventy five chickens a year. Therefore Jason accounted for the demise of some one thousand chickens during the course of his remarkable life. Only Colonel Saunders did in more of these fine feathered fowl. Jason loved all and was perhaps the easiest going dog on the peninsular. This thanksgiving we are going to miss Jason as he was always happy to substitute turkey for chicken and Thanksgiving was his favorite holiday except for perhaps the Jewish New year when he was given a special treat of chopped chicken liver. Our friend Faye who is Iranian coined the name “shikamoo” for Jason. This Persian word can roughly be translated as glutton. Jason was no glutton for punishment. He was a wonderful dog that my daughter Alexis chose for the family many years ago. We should all give thanks for the Jason’s of this world. How much energy is used for a 140 degree latte? We are not talking about the Rio Grande but the mid-size coffee serving at Starbucks. Yes Starbucks has Short, Tall, Grande and Venti sizes for their coffee and lattes. The Grande is a 16 fluid ounce size. I was recently in the Strawberry Starbucks when I overheard the patron in front of me ask for a 140 degree latte. Being a thermodynamics and green expert I of course had to ask the Barista what this meant. The Barista replied that the milk in the 140 degree is warmed less than the normal 160 degrees. Of course my mind started doing mental arithmetic as to how much energy Starbucks could save if all patrons became green and asked for the 140 degree Grande non fat latte with one Splenda and no foam single cupped. Yes there are over 15,000 Starbucks stores and Starbucks has yearly revenues of nearly ten billion dollars. Soon there will be fewer stores as Strabucks has hit hard times with the terrible global economic downturn. I estimate they must sell something like 3 billion Grande equivalent drinks a year. Twenty degrees difference on a drink that weighs a pound and using a specific heat of 1.0 means 60 billion BTUs could be saved each year by Starbucks moving to the 140 degree latte. Each of the Starbuck espresso machines is powered by electricity. There are 3412 BTUs in a kilowatt hour. The added warmth of the drinks therefore equals 19.096 million kilowatt hours. The average heat rate of a coal fired power plant, the most common form of power plant in the world is about 10,000 BTU per kilowatt hour. This means about 1.25 pounds of coal needs to be burned to generate a kilowatt hour, therefore the 19 million kilowatt hours required 23.870 million pounds of coal. Coal is composed of approximately 50% carbon, the remainder is ash and moisture with a little hydrogen. Therefore 11,935,000 pounds of carbon are emitted each year to increase the temperature of the Grande cups of Starbucks from 140 degrees to 160 degrees. This is almost 6,000 tons of carbon. Expressed as carbon dioxide we have to multiply the amount of carbon by 3.67. Now that I have bored you all with tedious math, we have that Starbucks is emitting and additional 21,881 tons a year of carbon dioxide simple because the average patron did not request their 140 degree Grande non fat latte with one Splenda and no foam in a single cupped option. This is about the same amount of carbon dioxide that 4,000 cars emit in a year. Of course just driving to Starbucks to get the 140 degree Grande non fat latte with one Splenda and no foam single cupped drink causes an untold amount of carbon emissions. Starbucks will be able to claim a lesser environmental foot print now that their business is stalled and they are closing stores. As for me I have to say I like my non foam Venti soy latte at 150 degrees. The cost of this drink is about half the price of Starbucks stock that now trades at $9.29 a share. Maybe soon Starbucks will give out warrants for their shares instead of coupons and they will change their name to Star with not so many Bucks. Will GM become a white dwarf? Today we thank the once biggest general of them all, General Motors, for our episode of Green Machine. Yes GM is the biggest of the once big three. This motor company has managed to loose more than seventy billion dollars since 2004. Not bad, they sold about thirty five million vehicles during this period and only lost two thousand dollars on each vehicle in their effort for us to “see the USA in our Chevrolet”. While GM lost the seventy big boys the global economic crisis has wiped out more than twenty trillion in the collective global wealth. I was thinking about twenty trillion and realized this is a very large number. The second nearest star other than our sun is less than twenty trillion miles away from earth. The big question for the big three is whether they will become the little two. Stars also go through expansion and contraction and may end up as black holes. The good news about all of this is that it will be billions of years before our sun gives out its last rays. Solar energy is still our major hope for using renewable energy to power the planet. The solar stocks have also been hit by the plunge on Wall Street but their collective future is still brighter than auto stocks, but not by much unlessl the cost of solar cells is reduced by eighty percent. Solar cells now cost approximately $8,000 per kilowatt of installed capacity and only generate energy a quarter of the time when the sun is shining. When and if the installed cost of solar cells drops to around $1,500 per kilowatt this method for abundant electric power generation will really take hold. There are rumors that the CEO of GM, Rick Wagoner, wants to meet with Toyota in Tokyo. Maybe he read my recent Green Machine article where I postulated the “Toyota Inside” model for affordable, efficient, and high performing future vehicles. Bob Lutz the Vice Chairman of General Motors who often appears on CNBC is still betting on his Chev Volt, the plug in hybrid that will rely on Lithium batteries and is scheduled for commercial launch in 2010. The problem for Lutz is whether GM can survive until then. The US government may well become the largest shareholder in each and every of the three US auto companies long before the Volt draws any juice from the power grid. Perhaps GM with Washington calling the shots will then have a CEO named Klutz and a car named the Revolt. On an upbeat note, we have a new President with yesterday’s election. As I write the Green Machine articles a week in advance I cannot answer who the new president is, but there is no doubt the new president will have to deal with energy as one of the primary policy issues facing our country in the future. Housing and transportation account for over half of our energy use and both of these sectors require significant funds and attention. I did a quick back of the envelope calculation that transportation including the cost of owning and operating vehicles, maintaining roads and bridges, policing the roads, etc. accounts for approximately twenty per cent of our gross domestic product. I have not performed the calculation on housing but it must be more than thirty percent of GDP. Maybe I should offer my services to the next administration and show them and the US public, how by being Green Machines we can move the economy forward based on conservation and saving rather than by massive and unsustainable consumption. While it will be painful for the former Big Three stars of the US economy to shrink, they can still have a bright future producing efficient smaller vehicles that could be branded as “white dwarfs” rather than “Super Novas”. The people have spoken and we have a new government. A new government means a new energy policy. President Elect Obama is less warm to nuclear power than was John McCain. Therefore it is doubtful we will build scores of thermonuclear power plants in the next decade. The new administration has two very important appointments to make. These are the Secretary of the Treasury and the Secretary of Energy. I believe energy policy will either support or break our economy and that the secretary of energy will be possibly the single most important appointment that the new President will make. Barak Obama has committed to increasing funding for alternative energy and has pledged to wean the country off of oil imports from unfriendly countries. This is all election talk and now the real work has to begin. Bio-ethanol is a bust and just this week Verasun, a NYSE traded ethanol company, entered into Chapter 11 of the thermodynamics text book. Many of the other ethanol producers are teetering on bankruptcy and only survive on government subsidies and high tariffs on Brazilian ethanol imports. Had the present Secretary of Energy Dr Sam Bodman heeded my sage advice that Mother Nature did not intend photosynthesis to propel 250 million vehicles in the good old USA we may have embarked on a real and appropriate energy policy a while back and not have to have endured the disaster we are experiencing. Ethanol, whether corn based, cane based or somehow miraculously cellulose based is a dead end and not the solution to our energy needs. The government should focus on rebuilding a new “Detroit” with auto companies engineering, producing and selling efficient smaller vehicles that are also profitable for the manufacturer. A good way to help kick start this would be for the Feds to provide a $3,000 subsidy to the automakers for each vehicle they produce and sell that achieves more than 35 mpg. The subsidy could be a direct grant or a subsidy toward the pension and medical expenses these companies are liable to their workers by contract. The foreign automakers rely on their governments for national healthcare for their workers, and US automakers suffer a significant cost disadvantage. My one concern is that the UC Berkeley based academics led by one Prof Kammen are the President Elect’s energy policy gurus. These misguided academics have been on the wrong side of the argument in many instances and in particular on ethanol and hydrogen. Their academic publications have erroneous and often non-thermodynamic claims of how ethanol and hydrogen were the saviours. They have already caused much more harm than good and much money, time and human effort has been expended on these dead ends. I do feel confident that there has been a sea change in our fellow Americans attitude toward energy and the environment, and that we will not return to the misguided belief that there are inexhaustible and abundant energy and natural resources to drive around in behemoth SUVs. I do hope that we can succeed in mass production of lithium battery systems for hybrids and plug in hybrids and by the end of President Obama’s first term, and that we have a couple of vibrant US based auto companies who can compete on the world stage. As for the Secretary of the Treasury, that person will have to understand the color green as it relates to money. Today’s episode is in honor of Halloween and should be called orange machine rather than green machine. I was thinking how much energy goes into the production and distribution of bite size candy bars. If the candy is simply sugar based such as a life saver it actually has less energy per unit mass than a candy such as a Snickers or milk chocolate of equivalent mass. This is due to the fact that carbohydrates (sugar) have less energy content per unit mass than cocoa butter (lipid or fat). The chemical structure of a carbohydrate already is partially oxidized and hence it has less available chemical energy when it is digested. A lipid has no oxygen atoms in its chemical structure and therefore has more chemical energy available for digestion. If one looks at the nutrition information on the package of foods one would see that fats yield 9 kilocalories per gram while sugar only yields 4 kilocalories per gram. Therefore we would be doing our kids a favor if we gave them individually wrapped Lifesaver Candies rather than individually wrapped Snickers Bars on Halloween night. There are approximately four thousand children on the Tiburon Peninsular that will be trick or treating on Halloween Night. If we assume each child is lucky enough to haul in half a pound of candy and that the candy is evenly split between sugar and chocolate one can perform the requisite math to calculate that the collective energy in all the treats given to the children here on the Peninsular on Halloween Night totals some 5,900,000 kilocalories. This amount of energy equals the fuel content of 203 gallons of gasoline. If we assume that on Halloween Night each household on the Peninsular hands out a pound of candy, the 2,000 head of households also had the drive to the grocery store to purchase the candy. Assuming the trip to the grocery store required a quarter of a gallon of gasoline another 500 gallons of gasoline was expended to procure these treats. I am all for being green but believe that on a special night like Halloween one should not worry about carbon footprints but one should rather enjoy the festival. I do however have advice for the method of lighting the Jack-o’-lanterns and the kids’ flashlights. These should all be lit by light emitting diodes (LEDs) as LEDs require far less energy than older incandescent lights to emit the same amount of lumens. There are some among us who believe handing out candy is not good for the children and prefer to give the kids stickers. I have a sweet tooth and feel that on this special night candy treats are in order. In some communities a large bonfire is lit for the celebration of Halloween. Of course lighting a large bonfire would significantly add to the carbon footprint of the event. Perhaps a wealthy community could buy carbon credits to offset the carbon emissions from the bonfire, but now we are really commercializing the celebration of Halloween even though old Alfalfa would recommend the purchase of such carbon credits. I always enjoy Halloween as it has many G words associated with the festival. These include ghosts, ghouls, gremlins, gourds, and of course goblins. Happy Halloween! What does one of the Marx Brothers have to do with green? Back in the 50s Groucho had the TV show called “You Bet Your Life”. These past weeks on Wall Street could also be called you bet your life. I have received several emails about the outcome of investing $1,000 in various shares or simply buying beer with the $1,000. The emails claim that had you bought $1,000 of beers and drank the beers you would still have $214 in left over aluminum in the empty cans. Had you bought Bear Sterns or Lehman Brothers you would have boopkas. I did a quick calculation of the mass of left over aluminum had you bought beers with your $1,000. Let’s assume one can buy the least expensive beer for $6 per case of 12 cans. The CRV per can is 5 cents hence the 12 cans would have a CRV of 60 cents or 10% of the cost of the beer. Excluding sales tax one can therefore expect to receive $100 for the recycling of $1,000 expended on beer. A minus 90% return these days is actually preferred to a minus 100% return. Last week I bet my own life by having major surgery to remove my prostate. Thankfully the outcome was successful and the prognosis is excellent. I am reminded on Charles Dickens and his book “A Tale Of Two Cities” in which Dickens writes his famous lines that “It was the best of times, it was the worst of times”. While recovering from the surgery and bearing the pain under medication I watched the TV in my hospital room and seeing how the financial world was falling apart, I was thinking about these words. For me the past week was the best of times, but for most it was the worst of times. But for all of us we still have the hope that there will be better times ahead. From a sustainability perspective the global economic slowdown will lower the rate of combustion of fossil fuels and hence will lessen the emissions of carbon dioxide. Conversely there may be much less capital available to retool the power generation sector and the vehicle fleet. I still believe we are on the path to using less fuel no matter what the level of the Dow Jones Index. Remembering that mid grade gasoline prices peaked here at the 76 station on Tiburon Blvd. on June 19 at $4.79, I was pleased to see the price of the same gasoline was $3.63 yesterday. No doubt thanks to economic slowdown and us all being greener we will “enjoy” gasoline for less than $3 per gallon soon. I am an optimist and believe the future will be better than the present and the past. The US government will need to adopt energy efficiency policies. Both candidates in the final presidential debate agreed we will be weaned off oil imported from unfriendly countries within ten years. Hopefully we will not simply buy more oil from friendly countries. My prognostication is that we will be using 20% less oil in 2018 as by then many of the SUVs will have been recycled and the fleet of vehicles will be 1,000 pounds lighter on average. I guess one could use the beer investment analogy and calculate the residual value of the steel in a Hummer. Maybe the Governator will ask for legislation to set a CRV for his fleet of Hummers. In this case I would gladly support legislation to give SUV owners $1,000 to take their monsters to the junk yard. We could even have the duck come down with the $1,000 when the owner says the magic green word. Should we be green or greedy? Today’s episode is brought to you courtesy of one of the prime motivators of behavior. With all the news of the housing, banking, and economic crisis there has to be a connection between greed and green. The oracle of Omaha, Warren Buffet, has a saying “be fearful when all are greedy and be greedy when all are fearful”. Warren Hard-Thing Buffet has stepped in to buy a part of GE and also holds several other recent investments in hurting companies. The connection between greed and green is just a substitution of one letter - the d for the n. Does it make sense to say “be fearful when all are green and be green when all are fearful”? Yes it does! When all the politicians claim to have alternative energy policies one should be fearful. We have the recent cases of hydrogen and ethanol to point to where there was this mass stampede by those who set policy to waste time, money, and precious food on thermodynamic dead ends. Should we be green when all are fearful? Yes there is a real opportunity to save ourselves and our planet by being green! One silver lining from this economic mess is that Smart Cars are in and SUVs are out. The US consumed 4.4% less liquid hydrocarbons in the first eight months of this year versus last year. There is no doubt the trend will continue. We did however consume 3.5% more natural gas and 0.7% coal in the first eight months compared with last year. As liquid hydrocarbons account for about the same total energy use in our economy as natural gas and coal combined, we did manage to lower our total energy use so far this year. Also as natural gas is less carbon intensive than either liquid hydrocarbons and coal, our collective carbon footprint is also lower in 2008. The real solution to our economic crisis lies in ending the decline in housing prices and putting people to work in new jobs. A good fraction of new jobs could well be in manufacturing more efficient vehicles, manufacturing and installing wind turbines or solar electric power generation systems. Several years back I gave a talk at a meeting in DC that pointed to the need in the USA for a new car company. My hypothesis was that we should “standardize” around an engine and drive train platform from a company like Toyota and mass customize the body, interior and paintjob of the car to suit motorist’s individual needs. VW bugs and Model T Fords were kind of like this business model but my idea is to go even further, where one engine/drivetrain company provides all the “inside” equipment for a vehicle and others assemble and customize vehicles for the consumers. This was the “Intel Inside” model for PCs when there was an opportunity to drive costs down and increase performance. If only I could get the ear of old Warren, I could then convince that I could produce the Berkshire Hat-Away roaster, a car that goes as fast as a Carrera yet costs as little as a Corolla. No doubt a few of us on the Tiburon Peninsular would don our British racing green driving caps, speed down the boulevard in the Berkshire with rag top down and salute the electromotive forces of fear and greed. Should I BBQ with propane or charcoal? As summer draws to an end I am using today's article to deal with the subject of BBQs and whether propane grills are greener than charcoal grills. 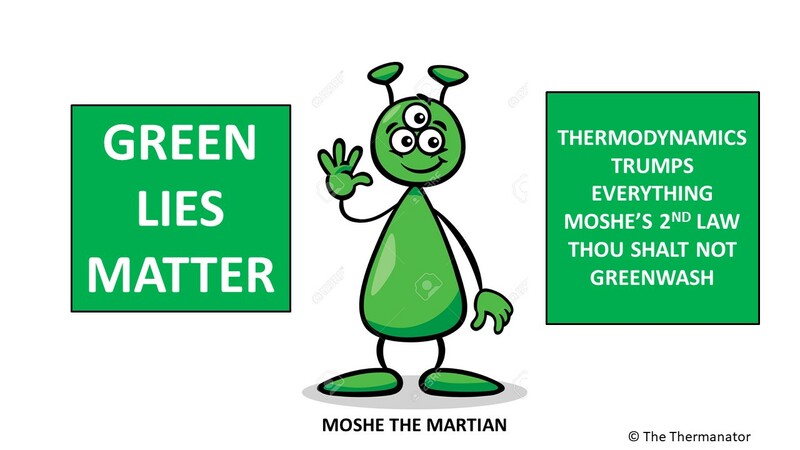 Unfortunately there is no conclusive evidence that either method is greener than the other. Propane is a fossil fuel and adds to the concentration of greenhouse gases but burns without soot. Soot is a large contributor to global warming. The Sierra Club has voted at different times in favor of either method. They use the argument that charcoal from wood waste is carbon neutral however charcoal form living trees exacerbates global warming. The Green Machine prefers propane for environmental, convenience, and food safety reasons. Even if the charcoal is made from waste wood that in turn came from trees that sequestered carbon, my point is it is better to leave the trees standing or rotting returning nutrients to the earth rather than convert them into charcoal In addition to soot there are dozens of chemicals in charcoal smoke that are carcinogenic. Propane is a simple hydrocarbon with the chemical formula C3H8. Combusting propane yields only carbon dioxide and water. Fat that drips onto the ceramic or steel burner plate in a propane fired BBQ also forms carcinogens. However if one uses burners that are aside of where the meat is cooking and indirect heat is used then the source of carcinogens is avoided. It is much more difficult to push the coals from side to side in the BBQ grill on avoid these carcinogens infiltrating your meal. This discussion on charcoal has made me remember some research I did in 2003 for a book I published in Japanese on Sustainability. I discovered then that much of the forest in Somalia was being cut down to produce charcoal for export. I thought that these exports of charcoal would be to Europe or other neighboring African States. Sadly the export of the Somali charcoal was to Saudi Arabia where charcoal is called Black Gold and sells for more than $10 a bag. From a sustainability view point this is crazy. Saudi Arabia has more fossil fuel than anywhere else in the world and the Saudis should use their propane for BBQs and camp fires rather than charcoal. Several US chemical companies plan to produce hydrogen, methanol, and ammonia by gasifying petroleum coke. I have the suggestion for these big chemical companies to package the coke in bags and sell this packaged coke to the Saudis. We could give the Somalis a portion of the revenues from the sale of the petroleum coke and save their acacia forests. This would be a win-win proposition for all and finally the US could export something back to the Saudis. I need to go back to the BBQ to tend to my meal because I know that independent of whether we BBQ with briquettes or with Propane the entire US population's total Carbon Dioxide emissions from our BBQs is less than 0.15 million tons a year or about 0.002% of our collective 6.6 billion tons of carbon dioxide emissions in the USA last year. Remembering that chicken is greener than beef, I will put another chicken breast on the grill. If I was Australian I may put another shrimp on the BarB. Which came first the chicken or the egg in being green? Yes today’s G word is one of the seven deadly sins. Gluttony can be loosely defined as eating or drinking more than you need to the point of waste. The word is derived from Latin from the word to swallow or gulp. We in the USA certainly know how to gulp and if I remember right Seven Eleven even named their drink size the Gulp. I don’t want you all to stop eating steak or hamburgers as I love these menu items and can think of nothing better than sitting on Sam’s deck eating one of their burgers and gulping a diet coke. However the consumption of meat protein over the past thirty years has quadrupled on the planet and this is a major contributor to global warming. The habit of eating meat has moved from the Occident (west) to the Orient (East). The collective mass of all livestock on our planet is now almost twice as much as the collective mass of all humans living on earth. For most of history the collective mass of humans exceeded the collective mass of our livestock. Most of our grains and soy beans are fed to livestock. Cattle in particular are large generators of greenhouse gases in the form of methane. Before all of you giggle because of bathroom talk, you have the wrong end of the cow. The predominant quantity of greenhouse gas emanates from the mouth of a cow. You need to remember that pound for pound methane is twenty one times worse as a greenhouse gas than carbon dioxide. Why do cows emit methane from their mouths? The reason is that cows belong to the group that are called ruminants or those that chew their cud. The polite word for the act of belching is eructation. Approximately 8% of the fodder fed to a cow winds up as methane that is eructated. This volume of methane is approximately one hundred gallons of gas a day. Before you all rush out to capture gas from the mouth of a cow remember this is not liquid volume but gaseous volume. The amount of energy contained in each cow’s daily eructation is about equal to the energy in a pint of pure ethanol. Now that we know cows emit a massive amount of greenhouse gas, we need to answer the question whether cows are more efficient at converting feed to meat than other livestock? Sorry cows are not the most efficient at this task, broiler chicken are the most efficient. Chickens require 3.4 pounds of feed for one pound or ready to cook meat, cows require 6.2 pounds of feed. Before we blame cattle for all of our ills, pigs require 8.4 pounds, eggs 3.8 pounds and cheese requires 7.9 pounds. Therefore if you want to lower your greenhouse gas footprint, next time you are on the deck at Sam’s eating lunch order a chicken breast with cheese sandwich instead of a bacon burger. Actually ordering a veggie burger made of soy would save the world all of the conversion losses of growing, transporting, butchering, and refrigerating the food we eat. In fact the United Nations is suggesting that humans adopt an increasing amount of soy in our diets as a method to mitigate global warming. While science is certainly on the side of the UN’s argument, I believe a nice juicy burger is still one of life’s pleasures and I will do my part to save the planet by carpooling. Based on the conversion of feed we also know that the chicken came before the egg. What is the average vehicle mass in grams? It is interesting that the average mass of vehicles sold in the USA has increased significantly since 1987 from 3,221 pounds to 4,144 pounds or 1,873,088 grams. The average horsepower of a vehicle has almost doubled since 1987 from 118 to 223 horsepower. The heaviest horse in history had a mass of 3,360 pounds or about the mass of the average vehicle sold in the USA in 1987. This horse named Sampson lived in England in 1846, and had he not been gelded he would have weighed even more. The acceleration of the average vehicle measured in the time taken to get from zero to sixty MPH has decreased from 13.1 seconds to 9.6 seconds in the past twenty years. The fuel economy of the average vehicle has decreased from 22.0 mpg to 20.2 mpg because of the change in mass, horsepower and the proliferation of trucks (SUVs included) from only 28% of vehicles sold in 1987 to 49% of the vehicles to be sold in 2007. If we all remember a previous Green Machine episode explaining the Newton’s laws of motion we all know that the force that is needed to be applied to an object to yield a set acceleration is directly proportional to the mass ( F=MA ). In accelerating cars from zero to sixty there are some other forces (resistance) to be overcome such as wind resistance and rolling resistance but for the moment will simply deal with old Isaac’s second law. The mass of the vehicles has increased in the past twenty years by 29%. Acceleration increased by 36% so accounting for increased mass and increased acceleration one would have expected the required force from the engine to have increased by 75% which is in line with the added horsepower in the 2007 models. With all this increased mass, faster acceleration and more powerful engines how did we still achieve only an 8% reduction in fuel efficiency? This can be answered by the improved efficiency of the later model engines. Primarily as a result of fuel injection, multi valve engines, and variable valve timing that were not available back in the old days. These improvements all relate to how the fuel is burned in the engineIn the future we will have higher compression engines, direct fuel injection, and of course smaller and lighter vehicles. We can thank the Governator for the proliferation of SUVs as his movie Kindergarten Cop started the Hummer rage. My prediction is that within a decade the average mass of a vehicle will drop to value we had in 1987 and the average fuel efficiency will be close to 30 mpg. Also within a decade we will have long forgotten Arnie. How much energy is there in a hurricane? Yes Gustav is the G word of the day. Why would we thank Gustav for being green when in fact he was the hurricane that hit Louisiana on Labor Day? Well first Gustav is a Swedish name for the “staff of the gods” and maybe the gods were trying to tell us that increasing the ocean temperature helps hurricanes form and intensify. The scale or category of hurricanes is measured from 1 to 5 with 5 being the most powerful. The scale named the Saffir Simpson scale was developed in 1971 by a Structural Engineer named Herbert Saffir and a meteorologist named Bob Simpson. Bob Simpson was the director of the National Hurricane Center and Herb Saffir was interested in designing inexpensive hurricane resistant housing. They could of called their hurricane scale the Herb and Bob scale but then who would have taken them seriously? The amount of power contained and hence released by a hurricane is proportional to the cube of the velocity of the winds ge nerated by the hurricane. Therefore a category 5 storm with winds of greater than 156 miles per hour has 430 percent of the power of a category 2 storm with winds greater than 96 miles per hour. The residents of the Gulf Coast were indeed fortunate that Hurricane Gustav had lessened in intensity to a Category 2 by the time it hit land. 96 mile per hour winds are still not something to sneeze at. I actually have never tried to sneeze into a powerful wind, perhaps Newton’s laws of motion would cause one to sneeze inward rather than outward. There are sceptics who believe that the increase in global warming gases in our atmosphere have nothing to do with hurricanes and that all hurricanes just come and go in cycles. There is likely a cycle between periods of fewer hurricanes and periods of increased hurricane activity but the warming of the ocean by a degree or two will have a significant influence on the intensity and severity of each hurricane. The hurricane gains strength when it is over warm water and dissipates its strength by traversing land or cooler waters. All the added carbon dioxide and other greenhouse gases will indeed increase earth's temperature by a degree or more in the next fifty years and folks living in Florida and the gulf coast will have to live with more severe hurricanes. In fact the Saffir Simpson scale may need to expand to a category 6 hurricane but this is purely academic as a category 5 hurricane will damage just about every building in its path.We are fortunate that Gustuv moved across the gulf in pretty rapid fashion with a forward motion of the eye that was between 15 and 18 miles per hour. This more rapid movement prevented Gustav from exceeding a category 2 when it made landfall on the Louisiana coast. Other factors that influence the intensity of the hurricane besides ocean temperature and the speed the eye is traveling is the amount of shear the hurricane experiences in the upper atmosphere by other weather systems. In the case of Gustav there was another weather system that did moderate the hurricane by the presence of counter flowing winds above Gustav. We are indeed fortunate that Gustav only caused $10 billion in damages and there was little loss of life. As Gustav did not reach a category 5 storm his name was not retired and Gustav will live to frighten us again in a future hurricane season. Perhaps the folks who name hurricanes will also use the names herb and Bob in the future. Does gallium stand a chance? Today we thank the thirty first element of the periodic table for contributing to our green machine. Gallium is named after Gaul the Latin name for France. Actually France is a leader in high tech but is often remembered for poor quality autos and rude waiters. Gallium is playing a very important role in the greening of lighting. Gallium Arsenide is used in fabricating light emitting diodes (LEDs), a technology that will soon proliferate in lighting homes, offices, streets and the outdoors. LEDs are much more efficient in converting electricity into light than incandescent or even florescent bulbs. LEDs also are also long lived and can glow continuously for 100,000 hours before needing replacement. We can also thank Gaul for the Smart Car that is beginning to be sold in the USA. Yes Mercedes owns the Smart Car brand, but the cars are manufactured in France. Hopefully the folks from Mercedes have better quality control systems than Renault. Who remembers the Le Car Renault 5 that tried in vain to compete with the Honda Civic in 1980? Well this time I believe the French may actually have a winner in the Smart Car if the quality is can be maintained. One thing about the French, they can make the “Smart Car” as well as the “Not So Smart Car”. There is some good news on the energy front with gasoline prices dropping since reaching a peak in mid June here in Tiburon. I use mid grade even though Mercedes recommends premium for my 1999 C 280. Actually every car can run on a grade lower than that recommended by the manufacturer, except of course if you use regular there is no grade marketed as sub-regular. On June 19th I filled up at the gas station by the Cove with mid grade costing $4.79 a gallon, on August 23 the very same gasoline cost $4.15 a gallon some sixty four cents less. It must be that Ark readers are paying attention to the Green Machine and driving less. If this is true for you I tip my black beret to you and say merci. Returning to the periodic table, Gallium is a metal that falls between Aluminum and Indium and is referred to as a “poor metal”. Prior to its use in LEDs, gallium was used to help fabricate fine mirrors, nuclear weapons, and solder. The term “poor metal” does not refer to its economic status but like the other metals such as lead in its column of the periodic table, Gallium is soft and therefore considered poor. There is some hope that Gallium can be alloyed with other elements for dental fillings, hydrogen storage, and even treating cancer and autoimmune diseases. LEDs will save a significant amount of electricity and is in essence the solid state replacement of a vacuum tube in lighting applications. We can thank Gallium for this improvement in efficiency. I personally like the name Gallium for a race horse or even a high performance car. Just think of it someday we may have the Hyundai Gallium just like we have the Hyundai Tiburon. However, if Renault named a car the “Le Gallium” this would relegate Gallium back to its poor metal status forever. Starting with Marin County where we live, the following statistics hold for the growth our county has experienced. In 1930 there were 11,200 registered automobiles or 1.06 per household or 0.26 per person living in the county. By 2010 we anticipate there will be 241,300 automobiles in Marin County or 2.16 per household or 0.89 per person. Wow we have come a long way since 1930 or have we? The statistics for San Francisco County show less growth in the past 80 years. In 1930 in the city by the bay there 152,700 registered automobiles or 0.85 per household or 0.24 per person living in San Francisco. In 2010 it is estimated that there will be 445,000 registered automobiles or 1.3 per household or 0.54 per person living in San Francisco. Interestingly back in 1930 Marin and San Francisco had a similar number of automobiles per inhabitant, but by 2010 we Hot Tub Enthusiasts have almost as many vehicles as people. It can be inferred that the carbon footprints of those living in the fog are lower than us because of the compactness of their city and the availability of public transport. Today’s article is brought to you courtesy of that state of nature referred to as the gaseous state. Gases have interested scientists for many thousands of years and it took more than three thousand years to develop the kinetic theory of gases. Heron a Greek who lived in the first century invented a steam engine, long before a couple of Brits named Savery and Watt harnessed the power of steam and are wrongly remembered as the inventors of the steam engine. Three are all sorts of laws covering the physical behaviour of gases. These include Graham, Boyle, Charles, and even a French scientist and politician named Gay-Lussac. My favorite is the Ideal Gas Law. A gas is ideal if its pressure increases in perfect proportion to the absolute temperature. If the increase in pressure is not in perfect proportion to the absolute temperature then the gas behaves imperfectly and has a fugacity coefficient that is not unity. It seems like political candidates of the male species repeatedly behave imperfectly and hence have the audacity to deny to the popular press that they did not exhibit some fugacity. Of course French politicians are allowed to openly display an enormous amount of fugacity. CNN is now carrying news of a Compressed Air Car that will propel the world with little fuel. Actually, I hosted the California promoter of this contraption at my home in Tiburon about five years ago. I took a quick look at the proposed vehicles and told the promoter it simply would not win any major share of the vehicle market. The inventor of the Air Car is a Frenchman named Guy Negre who wants to be the next Gay-Lussac and have a gas law named after him. Negre has further developed his compressed air car to now use fuel to increase the range and speed of his car. Actually he now has a car that is gasoline or diesel car that is augmented by compressed air, sounds like a turbocharger to me so why compress air into a scuba tank and waste the wonderful form of energy called electricity in what turns out to be an inefficient, bulky and Rube Goldberg like contraption. If one already has electricity, it is a lot more efficient and simple to store this electricity in batteries on board a vehicle. Now the inventor of the pure air car realises he has to obey the gas laws, he has abandoned the pure air car for the hot air car. Just today CNN online aired the story of 106 miles per gallon for a six seater air car. Yes it is 106 miles per gallon without including the electricity used in compressing the air and therefore the fuel that was used to generate the electricity. Perhaps the 106 miles per gallon was also achieved travelling down hill so that the added mass of the scuba tanks and compressed air contributed to gravity’s pull on the contraption. One can store about 100 watt hours of energy in a kilogram of compressed air at 200 atmospheres pressure. By comparison a 3 fluid ounce double shot glass full of diesel has 1,000 watt hours of stored chemical energy or about ten times as much. Also for its storage diesel does not need a scuba tank that is also much heavier than a diesel tank. Please do not use your double shot glasses to drink diesel even though it is truly fire water. Today we will learn about gears and how they play a vital role in improving the energy efficiency of vehicles. Not many of us can remember stick shifts that were on the steering column. Most vehicles in the 1940s had three forward gears and a reverse gear. The gear change lever was on the steering column. First gear is called the low gear because it has the lowest gearing ration between the engine and the drive wheel or wheels. The low gearing ratio is needed to commence the acceleration of the vehicle and allow the engine to enjoy the greatest “mechanical advantage”. Mechanical advantage is also used in pulleys and cranes to lift heavy items with the least amount of force. Likewise in a vehicle a low gearing ratio is used to allow the horsepower and torque of the engine to commence the acceleration of the vehicle. As the vehicle gains velocity the gearing ratio can be increased and the engine speed can be lowered to continue to propel the vehicle at a certain speed. If you watch bicyclists who are climbing a hill, they pedal pretty fast and the bicycle is hardly moving. This is because they have engaged their lowest gear ratio between the sprocket on their pedals and the sprocket on the rear wheel. When the bike is on the flat or downhill the pedals do not have to be turned rapidly for the bicycle to move fast, this is because the chain now engages the smallest sprocket on the rear wheel and the largest sprocket on the pedals and allows one revolution of the pedals to drive multiple revolutions of the rear wheel. The cyclist would not be able to climb a hill while engaged in this high gearing ratio as the mechanical advantage has in fact become mechanical disadvantage and the cyclist is simply not powerful enough to exert sufficie nt force to climb a hill. A human riding a bicycle has the power of about 50 watts or about one fifteenth of a horse. A Porche has over 300 horsepower so it needs many more forward gears than a 1940s vintage car. During the sixties it was common to have “four on the floor” meaning cars got four speed forward gearboxes and the gear shift lever was moved from the steering column to between the drivers seats. This is also because the front seats changed from being bench seats to two bucket seat. During the seventies and through the end of the last millennium five speed gearboxes were the most common for manual shift vehicles. Now six speed manual gearboxes are common on Porches and other high performance cars. Automatic gearboxes were widely adopted in the 1960s. They were two speed gearing at first and then for many years were three speed. In the 1990s four and five speed automatic transmissions became available and in this decade more six and seven speed automatic transmissions have been engineered. This allows for a much higher final gearing ratio as well as a much smoother transition through the gears which in turn allows the vehicle to achieve much improved fuel efficiency. Nissan has developed a continuously or infinitely variable (CVT) transmission that does not have a discrete number of gearing ratios but rather has a system that allows the gearing ration to change in minute increments and hence is the ultimate in the smooth transition from low gear to high gear. We can thank gears for the smooth ride of modern vehicles and also for the improvement in fuel efficiency and more rapid acceleration. Nissan claims a 10% improvement in fuel efficiency for a vehicle equipped with CVT over a 4 speed transmission. Only a few of us will thankfully have the experience of “three on the column” where cars shuddered while accelerating and engines whined to gain moderate speed. Yes our old friend has raised his head out of the alfalfa patch and has provided his green vision of the energy policy that our next president and congress should adopt. Is it realistic to think we can replace all of our electric power generation with renewable energy within a decade? The department of energy reported that the US used 4.065 billion megawatt hours of electricity in 2006. The peak installed capacity is approximately 906,155 megawatts. Dividing the 4.065 billion megawatt hours by 8760 hours in a year the average load is some 464,041 megawatts or some 48.2% of peak power. The following are the fractions of the electricity generated in 2006 by the various sources of fuel: Coal 49.0%; Petroleum 1.6%; Nuclear 19.4%; Natural Gas 20.0%; Other Gases 0.7%; Hydroelectric 7.0%; and Other Renewable 2.4%. Hence 73% of all electric power generated in 2006 had associated carbon emissions as the fuel contained carbon. Coal and nuclear are baseload plants which means they run all the time. Replacing coal fired power generation station with renewable sources such as wind or solar cannot be done simply by replacing one megawatt of coal capacity with one megawatt of wind capacity, as the wind is intermittent and is at best available one quarter of the hours in every year. Therefore we will have to have massive energy storage capability to remove the=2 0baseload coal fired plants. Assuming we can install wind turbines for a cost of $2,000,000 per megawatt, if one does all the tedious mathematics to replace the 73 % of the US generation capacity that is carbon based with wind power would cost. $1.32 trillion. However we would need twice as much wind generation facilities to replace baseload carbon fired plants and the cost of the wind generators will equal $2.64 trillion. To store the wind energy so it can be dispatched when it is needed will cost a similar amount, so we are talking about an investment of $5.28 trillion before we add in the cost of the transmission lines that are needed. Let’s assume the transmission system together with the controls needed for dispatching all this wind generated energy cost $0.72 trillion we have a cool $6 trillion needed to be spent over the next decade. This would be significantly higher if PV cells were used instead of wind turbines. Therefore using a mix of wind and PV as well as tidal, r un of the river, solar thermal, and geothermal we may need to invest $10 trillion for the carbon free electric generation replacement system. We import a total of 12 million barrels a day of crude oil and refined petroleum that costs us $130 per barrel or approximately $570 billion per year. Assuming the world has a savings rate and banking system to allow the US to divert $10 trillion of investment into the alternate electric energy sector, this investment without interest or profit equals 17.5 years of oil imports at present rates and present prices. As I am neither a magician nor the chief economic advisor of the next president, I cannot forecast the price of oil or the level of imports over the next two decades. However, I do believe that the level of imports will drop and the price of oil is presently unaffordable and possibly unsustainable. This being said it will take 20 years or more to recoup the dollars we ship overseas for oil for the total replacement of carbon based electric power generation. It is not completely infeasible that the system could be replaced, but it will simply place a major economic burden and will also substantially increase the cost of electricity to the consumer. My vote goes to the proposition to replace one quarter of the carbon fired power generation with renewables, as well as reducing our electricity consumption by a total of 10% in ten years time through demand side management and deployment of more efficient technologies. We certainly should spend a couple of trillion dollars over the next decade on alternative energy. This amount matches the total of the lowered home values and subprime mortgages losses we are experiencing and it is not going to divert all of global savings and investment to renewable energy but will leave some money for, social security, schools, hospitals, high-tech, biotech and of course old Al who makes millions on his speaking engagements that he flies to in his private jet. In order to produce one megawatt hour of power approximately one million gallons of water have to flow through a turbine if the water has approximately three hundred feet of water above it. The Hoover Dam is 726 feet tall so for this dam to produce 2080 megawatts approximately 860 million gallons of water have to flow each hour if the dam is full. As the dam is not full due to the drought, the turbines are not capable of producing their full nameplate capacity of electric power. Today we thank the trash we throw out for its energy content and value. The USA is the world’s greatest waster of materials. Over 251 million tons a year of municipal solid waste was generated in these United States in 2006. We consume and discard vast amounts of paper, food, plastic, cans, bottles, and other consumer goods. I had this thought what if we could turn this waste into energy or other useful material. Well I have to admit others have beaten me in the race to recycle. The cities of San Francisco and Oakland are now recycling food scraps from restaurants and making composted material for fertilizing the vineyards in Napa and Sonoma. Yes some 300 tons a day of organic material that can be composted is hauled to a Vacaville where a facility run by Jepson Prairie Organics turns this waste into useful fertilizer. Composting is an aerobic process, meaning air is added to the pile of waste to help decompose the material. http://www.jepsonprairieorganics.com/ What is not reported is that the gas emitted from a compost heap is carbon dioxide. However had the waste been placed in a landfill it would be more likely that an anaerobic (without air) breakdown of the trash would emit methane gas. Pound for pound methane gas has over twenty times the greenhouse effect of carbon dioxide. One may ask why do recycle more steel cans than aluminum cans even though aluminum is more valuable pound for pound? My educated answer is that steel is magnetic and it is much easier to extract steel from a pile or garbage by simply running the garbage over a magnetic separator. The recycle rates for aluminum cans and plastic bottles are higher in states that have enforced a deposit law and hence placed a greater value of the container. Many states do not have deposit laws or cash redemption values for beverage containers. The California Refund Value (CRV) is 5 cents for containers less than 24 ounces and 10 cents for containers greater than 24 ounces. The Golden State has a combined recycle rate for all aluminum, plastic, glass, and steel beverage containers of over 70% (14.7 billion out of 21.9 billion in 2007). This proves one man’s trash is another’s treasure. One final word, our neighboring town of Mill Valley, California recently hired a sustainability consultant to guide the city on green policy. The consultant will be paid $30,000 a year. I say Tiburon – Belvedere where I live should leapfrog Mill Valley and let me consult to our town councils and make 94920 the greenest Zip Code in the nation. Maybe I could even run for mayor and my campaign slogan will be “Be Green Vote Leveen”. All this sweet talk got me thinking about sugar and how much energy this wonderful chemical contains. First one has to understand that sugar is a carbohydrate and that means it has carbon, hydrogen, and oxygen in its chemical structure (carbo for carbon and hydrate for hydrogen and oxygen). Gasoline is simply a hydrocarbon meaning it only has carbon and hydrogen atoms. Sugar has the chemical formula of C12H22O11. Remembering our chemistry this means sugar has 12 carbon atoms, 22 hydrogen atoms and 11 oxygen atoms. Gasoline by comparison is typically composed of 8 carbon atoms and 16 hydrogen atoms. As the sugar molecule is already partially oxidized by having 11 oxygen atoms, thermodynamics tells us that sugar will have a lower heating (fuel) value per pound than a non-oxidized molecule like gasoline. The insurance industry considers sugar as a combustible material because it is only partially oxidized and can therefore fuel a fire. Combusting a pound of sugar yields 7,100 BTUs or enough energy to heat your seventeen gallons of bathwater to a cozy 105 degrees Fahrenheit. Combusting a pound of gasoline would yield about 18,000 BTUs. Therefore, hypothetically speaking, if you could use sugar to fuel your vehicle you would have to carry two and a half times the mass of fuel to travel the same distance. Today my column gives a tongue in cheek thanks to the governments of the G8 countries as well as those of India, China and Korea. Yes, these eleven countries met in Japan to discuss the greening of their economies that account for two thirds of global oil consumption. 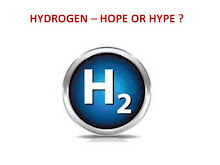 For the very first time we did not hear a communiqué that sprouted the hope of hydrogen or bio-fuels, but rather stated the path forward is via conservation. http://www.managenergy.net/products/R2251.htm Hallelujah, this is precisely what I have said for the past decade much to the dismay of the UC Berkeley gangrenous crowd who are all aboard the five hundred million dollar British Petroleum gravy train of bio-fuels. My suggestion is that neighbors offer each other a ride on the weekend to jointly do their grocery shopping. Also join a carpool or take public transportation. Longer term we need to buy smaller more efficient vehicles and retool our houses with more efficient insulation, windows, appliances, furnaces, water heaters, and government forbid air conditioners to cope with global warming. Heating a house with corn instead of wood, natural gas, or propane is a crime against humanity and animals. These folks who think they are green are robbing some starving person of protein, lipids and carbohydrates. If they want to heat their homes with biomass they should burn wood in their stoves. Wood has cellulose and lignin that are not digestible by humans, but also have a heat of combustion of approximately 7,000 BTUs per pound. The folks who use corn kernels in their stoves enjoy the ease of filling the hopper with corn rather than splitting logs. As punishment for their crimes against humanity, their sentence should be to split logs all day long. Moving from the starving to the obese, most of us could shed ten pounds of fat. The reason why shedding fat is good for your health is that your heart has to pump your blood through an extra mile of blood vessels for each pound of fat cells in your body. Losing ten pounds of weight implies your heart has to pump through ten miles less of blood vessels. Ten pounds of fat is approximately one and a half gallons of fat, therefore reducing your weight by ten pounds equals an decreased heart consumption of seven miles per gallon (ten miles divided by one and a half gallons). The ten pounds of fat if liposuctioned from your body if converted into biodiesel would propel a 2008 Jetta Turbodiesel almost sixty miles. My suggestion is we should all loose ten pound weight by undergoing liposuction and help the truly green Jetta TDI owners travel sixty miles without the use of fossil fuel and relieve our hearts from the added effort of pumping our blood an extra ten miles. Each week I now write a blog titled the "Gangrene Award" at www.gangreneaward.blogspot.com that is kind of like the "Green Darwin Award" for the dumbest green technology. This week the corn kernel stove is the hands down winner of the award. We are indeed fortunate that Tiburon is not surrounded by cornfields so we are not tempted to mimic these folks who think CORN stands for "Citizens Organizing Reduced Nutrition". If one did quick but incorrect math, one may believe that using natural gas instead of gasoline as a transportation fuel would halve your carbon footprint. Doing the math correctly by applying the atomic weights of carbon and hydrogen, and the heats of combustion of methane and gasoline, natural gas as a transportation fuel instead of gasoline will lower your carbon footprint by just over twenty percent. The problem is that natural gas is much more difficult to store onboard a vehicle, therefore only a very few vehicles have been converted to run on compressed or liquefied natural gas. There is much debate on whether you should fill your tank at night or at midday and whether you are cheated out of some gasoline because of the higher daytime temperature. My view on this is that gasoline is 2% more dense at 50 degrees than it is at 80 degrees so why not fill up early in the morning and gain part of this added mass and also minimize the escape of gasoline vapors from your tank. Certainly in summer months if you choose a gas station that is close to the San Francisco Bay the ground temperature, and hence the gasoline temperature, will be a lot lower than at a gas station in Sonoma. In the summer you will get more pounds of gasoline filling up in Tiburon than in Sonoma if you buy the same number of gallons. In the winter filling up early in the morning in Sonoma would help you gain more pounds of gasoline when purchasing a fixed volume of gallons. Gas stations also typically change their prices at midday. This proves that the early bird does catch the worm if the bird knows where the worm is hiding. This week’s episode of the green machine is brought to you courtesy of your lawn. Lawns are water hogs and also require a substantial amount of energy for their upkeep. Each day one can see numerous pickup trucks with gardeners traversing Tiburon Boulevard near where I live on their way to mow lawns and blow leaves to the other end of someone’s yard. I often have thought a great name for a landscaping company would be “mow and blow”. The typical lawn is 5,000 square feet and requires mowing some 30 times a year. The amount of gasoline used for fuelling the mowing machines and the pick up trucks to bring and return the gardeners from and to their distant homes must at least equal 2 gallons each time the gardeners visit us to perform their landscaping chores. This means each lawn requires some 60 gallons of gasoline a year to be kept in pristine condition. 60 gallons of gasoline has a carbon dioxide foot print of about 1,300 pounds. There are approximately 3,000 houses on the Tiburon Peninsular so our collective carbon dioxide footprint for having manicured grass lawns is some 2,000 tons per year. A 5,000 square foot lawn generates about 1,200 lbs a year of grass clippings. Grass clippings have a carbon composition of 40%. Performing all the requisite and tedious math calculations, these grass clippings took in 1,800 pounds of carbon dioxide via their photosynthesis or carbon dioxide and water. This means that the lawn carbon intake exceeds by almost 50% the carbon emissions of the gasoline used by the gardeners performing the maintenance of the lawn. If the lawn clippings are composted and used as fertilizer, owning a lawn is positive with respect to the carbon aspect of the environment even if one utilizes the services of a gardener who lives far away. The water footprint of a grass lawn is another matter. Given the long dry summers here in Marin County each homeowner’s lawn requires nearly 50,000 gallons a year of irrigation water. There is an alternate to grass lawns. A company named Fieldturf has developed a synthetic lawn using recycled rubber and sand. http://www.fieldturf.com/ Each square foot of Fieldturf requires 3 pounds of rubber and 7 pounds of sand. The carbon composition of rubber is approximately 90% therefore each square foot of Fieldturn contains 2.7 pounds of carbon. Therefore, the average 5,000 square foot Fieldturf lawn has over 13,000 pounds of carbon that has been sequestered from used tires. The Fieldturf lawn also requires no mowing but will need the occasional blowing. If all the residents of the Tiburon Peninsular changed our lawns to FieldTurf, we would save 150 million gallons of irrigation water a year, and the traffic on Tiburon Boulevard would also be reduced.